Volusia Tree Service also services the New Smyrna Beach, FL area and surrounding communities. We can come to your home or business and provide you with a free quote for any of your New Smyrna Beach tree service needs, including tree removal, emergency tree service, tree cutting, tree trimming, and more. And we do tree projects of all scopes and sizes, from the very quick 2 hour job, to clearing an entire lot over several days. There are lots of nice things about living in New Smyrna Beach and the surrounding area. The area is blessed with several nice beaches, lots of recreation areas and a lot of abundant sunshine so you have nice days to do the things you like to do. Another thing New Smyrna Beach has is many, many trees. The area has hundreds of different varieties and species of trees. That means you are more than likely to have some trees at your home or place of business that will need some care and attention every so often. Volusia Tree Service is the top tree service company in New Smyrna Beach, and we bring you a wide range of professional tree services. We serve both residential and commercial customers and no job is too big or too small. We are standing by and ready to serve you when you need emergency tree services, and we will be happy to schedule an appointment at your convenience for all of your other tree service needs. It seems like everyone has at least one tree in their yard that is old and rotted and they are worried about falling down. If that is the case for you, or you have another reason you need a tree removed then Volusia Tree Service can handle this for you. We are experts at tree removal in New Smyrna for one or more trees in your yard. Our professional arborists have all the tools and expertise necessary to do the job safely, efficiently and in such a way that it is non-invasive to the surrounding structures and landscape. We will stack the wood for you to use as firewood, or haul the material away and dispose of it in an eco-friendly way. We will even grind the stumps down so the area where the tree was can be totally reclaimed for whatever purpose you want to use it for. Many people thank that tree removal in New Smyrna Beach is extremely expensive but that is hardly the case. At Volusia Tree Service, we have pricing that will pleasantly surprise you; we will definitely be priced among your most affordable options in New Smyrna and the surrounding Volusia County area. Have you ever sat at home and listened to the branches of the overgrown tree near your house rub up against the roof or the side of it when the wind blows hard? Not only is this annoying to listen to but it can do a lot of damage to your house over time too. We can take care of that type of problem for you by cutting back branches and other parts of your trees that are threatening to damage structures around your property. We are experts at doing this kind of tree service work in a way that takes care of the problem, but still leaves the rest of the tree healthy and looking great. There are a lot of things that you like growing around your yard, but moss and ferns are usually not among them, but that is exactly what happens when the trees at your home or business get so thick they no longer let sunlight through to the ground. That is why it is so important to have your trees properly pruned on occasion. This will let sunshine through to not only the plants and grass on the ground, but also to the inner parts of the tree to improve its health. 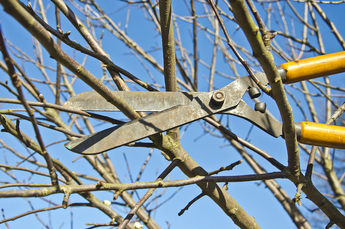 Pruning will also shape the tree which will help improve the overall appearance of your landscape, too. This type of tree pruning keeps your trees looking healthy, fresh, and well-maintained. You can always tell the neighbors in New Smyrna Beach that do not have a focus on tree health. Tree trimming in New Smyrna Beach is essential to promoting health and growth for certain types of trees and shrubs; our local tree experts will know exactly what trees can and can’t be trimmed and how to go about doing it. It is just another essential tree service that our experts can provide to you for your home or business. Just like people, trees can get sick and unhealthy at times too. Tree experts are like health professionals for trees; they know how to do such things as inject vitamins into your trees to make them healthier and better able to fight off diseases. Our professional tree technicians will look at the trees in your yard and decide a course of action that will improve their overall health and leave them much more resistant to the things that Mother Nature throws at them. Strong storms can come up suddenly and without warning in Volusia County and New Smyrna Beach, and when they do they can definitely wreak havoc on the trees in your yard or at your place of business. Large branches can become caught or leaning dangerously on power lines, whole trees can fall on your roof, and other tree debris can block driveways and entrance ways to your home. Our professionals are standing by 24/7 to help you with these tasks should any of these tree emergencies arise. After the storm comes through, we are on the ready to attack your tree problems in short order, so just call us at 386-597-1285 and we will be there to remedy the damage done by the storm. While we are there, we will also give you advice on how to make sure your trees are properly maintained so that they do not become a threat for the next storm that rolls through. Hurricane preparation is best done as preventative work, not reactive emergencies. You get more than just great service from Volusia Tree Service. 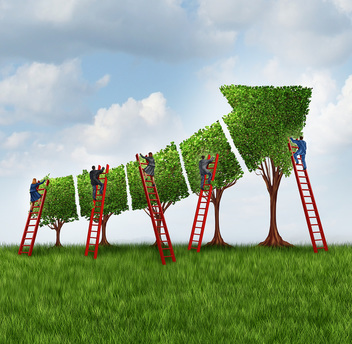 We are a company that 100% believes in competitive pricing, so you will get the absolute best of both worlds: expert tree service in New Smyrna Beach done by seasoned professionals, and performed at prices that are a lot lower than you would imagine. 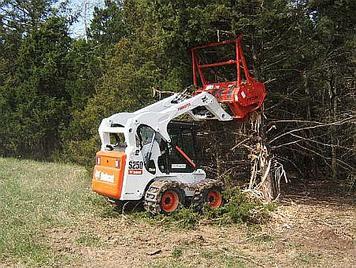 We pride ourselves on not only being the best tree service you will find, but also one of the least expensive. We also have maintenance plans and packages available that can save you money. We will also work with you after a tree emergency to help you get reimbursed for the portion of that work that is usually covered by your homeowners insurance. We will work with you every step of the way to ensure that you get the essential tree services you need at a price that fits your budget. So call us today at 386-597-1285 for a free tree estimate for your home or business in New Smyrna Beach. We are your local tree professionals who put the customer first, and always finish the job with 100% customer satisfaction. The job is not done until you are happy! Click here to return the homepage.